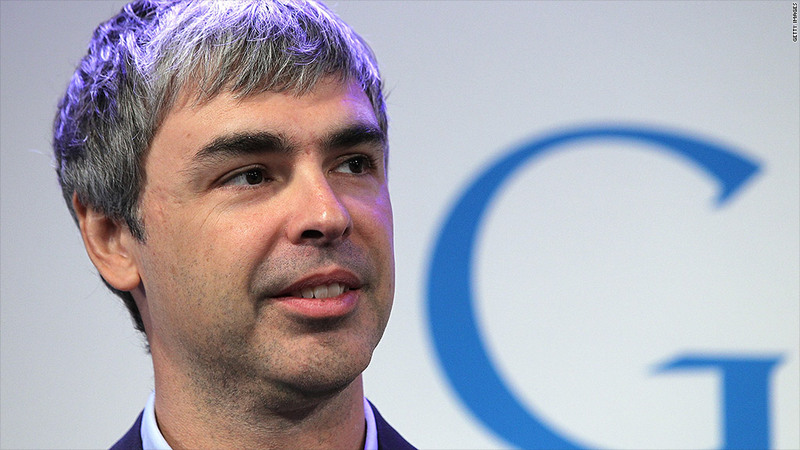 Google CEO Larry Page should be pleased with the company's first quarter results. But mobile is still a challenge. Mobile continues to be a problem for Google, as the company struggles with how to make money off mobile ads and its Motorola smartphone unit. But earnings still beat Wall Street estimates. Overall, Google's first-quarter revenue jumped to nearly $14 billion, in line with Wall Street expectations. Net income rose to $3.9 billion, or $11.58 per share, handily beating estimates. Shares of Google (GOOG) initially rose 3% in after-hours trading, but they lost some gains as investors digested the lackluster details on mobile. Though Google is a dominant mobile player thanks to Android, the shift away from desktops has caused the company some problems. Of particular concern is a metric called cost-per-click, or the average amount that advertisers pay to Google each time a user clicks on an ad. Mobile ads command lower prices than desktop ads do, so the average cost-per-click has fallen even as the number of paid clicks increase. In the first quarter, Google's cost-per-click fell 4% compared with the prior year. That's the sixth consecutive quarterly decrease. The number of paid clicks rose 3% over the year. Early in the quarter, Google announced it would reduce the number of ads on its mobile search page to avoid overwhelming users. At that time, the company wrongly predicted a higher cost-per-click and a drop in paid clicks. On a conference call with analysts, CEO Larry Page spoke only generally about mobile advertising in his prepared remarks. Instead, Page spent most of his time talking about an area of concern for some analysts: Google's expansion into side businesses not related to its core search business, which made up 92% of the company's sales in the first quarter. Those projects include the wearable computer Google Glass, driverless cars and the high-speed Google Fiber Internet and TV service. "Companies tend to get comfortable doing what they've always done with a few minor tweaks," Page said. "It's only natural to work on what you know." Google, on the other hand, wants to do things "no one else is crazy enough to try," Page said. Page also alluded to potential hardware innovations from Motorola, including improved battery life and a screen that won't shatter when dropped. "Having seen Motorola's upcoming products myself, I'm pretty enthusiastic," Page said. But Motorola is still very much a turnaround story. The business logged an operating loss of $179 million in the first quarter. During the fourth-quarter results conference call, Google CFO Patrick Pichette warned that he expects Motorola's financial results to be volatile "for quite a while." While Android market share remains strong, even that business underwent turmoil in the first quarter. Android co-founder Andy Rubin stepped down in March to take on unspecified new projects at Google. (Page declined to reveal Rubin's new role when asked on Thursday's call.) Sundar Pichai, former Google head of Chrome and Apps, took Rubin's place at the Android helm. Google rival Yahoo (YHOO) reported results earlier this week, and a sales drop -- led by an 11% decline in display ad revenue -- overshadowed a jump in profit. Microsoft (MSFT) also released its quarterly results Thursday, announcing profits that topped forecasts. Apple (AAPL), which has suffered a stock slump on concerns about declining profit margins, competition from Samsung and others with phones running on Android as well as the lack of an exciting new product, will report earnings next week. Facebook (FB), which competes with Google on the display ad front, is on tap to report results the following week.